-Both the wine list and food menu will be seasonal, and will feature tapas, at least four vegetarian options, Asian-inspired food, sandwiches, salads, and desserts. -Vintage will be open in the mornings for the work-from-home crowd, and will be serving coffee, espresso, etc. They’re fully expecting it to be the type of place you can come in with a laptop and get to work. -In the evenings, the space will have a low-key feel, perfect for enjoying a relaxed drink. The vibe will be ideal for a date night or a night with friends or family. -All of the items present will be local, from the coffee to the soap. -This is exciting: every month, Vintage will have a red and white wine selection where a portion of the proceeds will be given to a local charity. How cool is that? -They’re looking to open in the first week of February. Are you excited to try Vintage? We are! Yay, this is very exciting as I live a block away. The old Waltz did really great business but I wasn’t a fan of the owners or the food, and the place that was there before was really meh. I still miss having Fatty’s in the neighborhood, though. Looking forward to this! And veggie options too. Hopefully the service will be better than Locus. All you folks crying about gentrification and a bourgeois playpen (oh, please! ), what do you want, another bland greek cafe?? It’s not like some old school long running establishments was shuttered here for this. This space has changed half a dozen times in the past 10 years. Any word if they will have beer? Or it will just be a wine bar? Yes, they will have beer. There will likely be 3-4 local taps, with Singlecut represented! Bottled beers will be available as well. That’s all Astoria needs is another bourgeois playpen to off set what’s made Astoria great throughout the years. 100% agree – Astoria is becoming unrecognizable from any other gentrifying neighborhood, while all the great places that have been here for years are shuttering. Shame. Oh please, gimme a break. 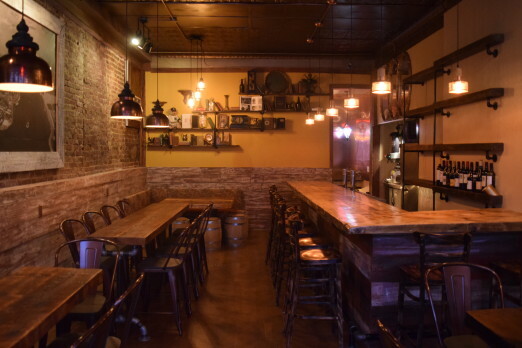 There are plenty of great restaurants and bars still in Astoria that have been around since before you probably moved in. 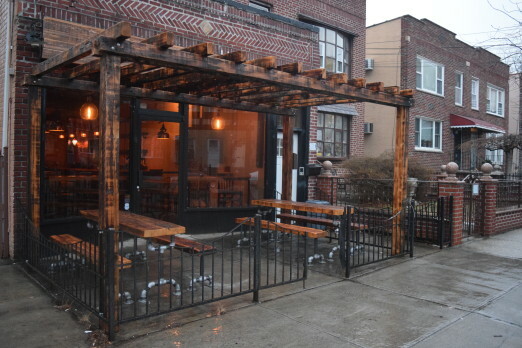 Waltz was one of the first wine bar/cafes of its type in the Ditmars area and I don’t recall anybody getting their knickers in a twist over it opening (except for my elderly Greek and Italian neighbors who cawed that “the neighborhood is changing too fast and getting gentrified”). That was back in 2004 and if it’s taken this long for “gentrification” to take hold then I highly doubt that it’s as bad as you say it is. Take for example Gregory’s Corner 26 Taverna on 23rd Ave. A neighborhood staple, it’s been in that spot for years and only recently (2014) expanded. Or Stamatis. Or Telly’s Taverna. Or Kyclades. Plenty of places around. It’s NYC. Businesses open and close daily. Change is good. Agreed. I think Vintage sounds like the perfect fit for this area, although I wonder what effect it will have on Crescent & Vine. The owners are local Astoria guys…they’ve been around here forever! Super nice, they aren’t making our neighborhood unrecognizable…they are enhancing and giving us a nice place to hang out and be social. Give them a chance they are a small business…and I think the place looks really nice.